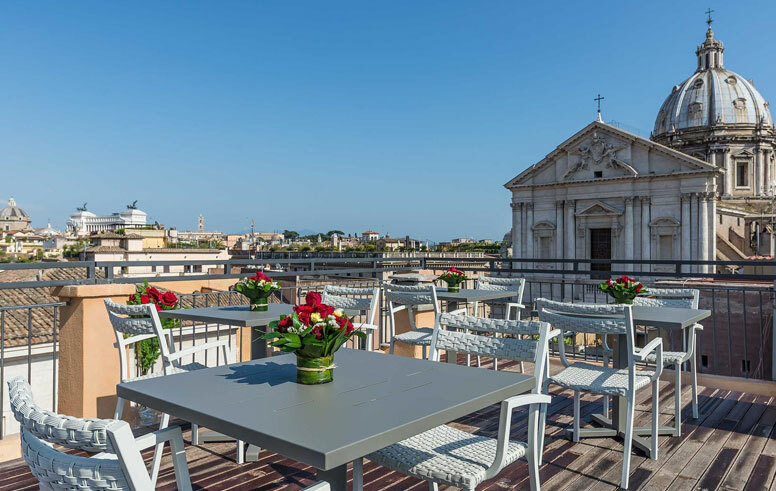 TASTE OUR Roof Bar The unique Hotel Roof Bar offers 360° panoramic views of the historical city centre and all its glorious monuments and archaeological sites, from the Vittoriano in Piazza Venezia to the Pantheon and from Gianicolo to Piazza Navona. 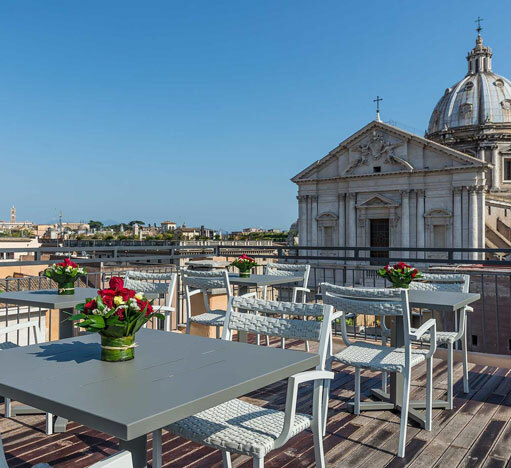 In this fabulous setting guests can relax with an aperitif snack and refreshing cocktail, or hold unforgettable exclusive events. 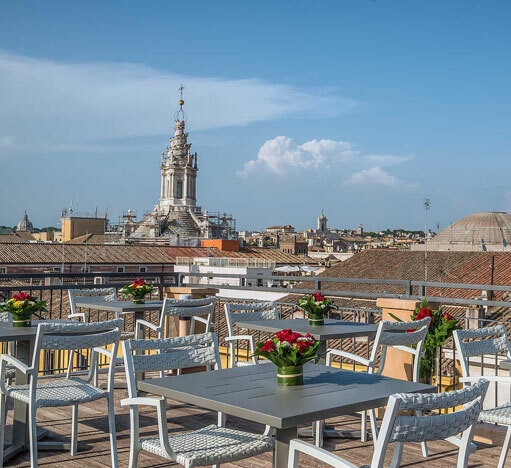 Enjoy the Panoramic views from our enchanting rooftop terrace.